LeBron James and Stephen Curry will duel in a fourth consecutive Finals. 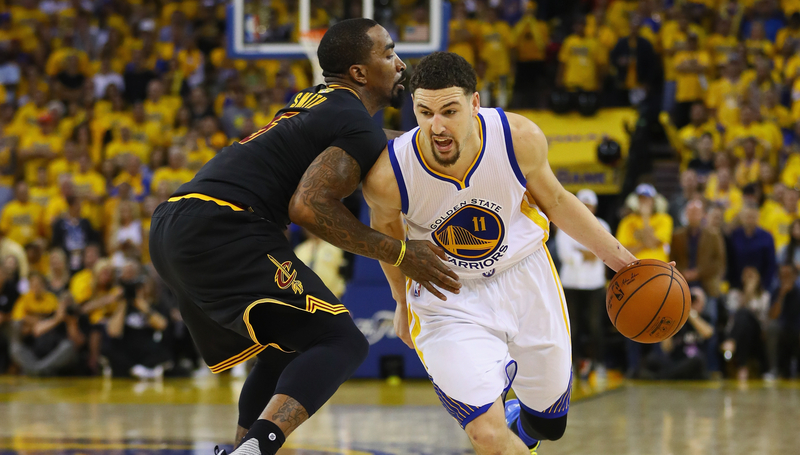 For the fourth straight year, the Golden State Warriors and Cleveland Cavaliers will battle in the NBA Finals. Here are five key stats heading into the series. 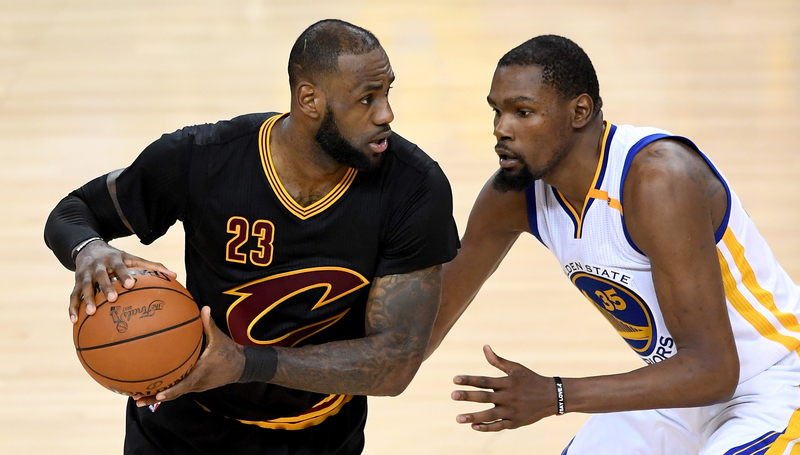 4 – Not only will the Finals rematch be the first time in NBA history that the same teams have met four straight years with the title on the line, it will also be the first time across America’s four major sports league, including the NFL, MLB and NHL. The Warriors and Cavaliers join the Los Angeles Lakers (1982-85), Boston Celtics (1957-66; 1984-87) and Miami Heat (2010-14) as the only NBA teams to reach four consecutive Finals. 8 – LeBron James will be playing in his eighth straight NBA Finals, with the first four coming with Miami and the past four with the Cavaliers. He’s just the fifth player in NBA history to reach eight consecutive Finals and the only not part of the 1950s and 60s Celtics. 67.2 – Outside of LeBron’s scoring average of 34.0 points in the playoffs, the rest of the Cavaliers are scoring 67.2 points per game, with Kevin Love the only other player in double figures at 13.9. Golden State, meanwhile, are averaging 80.1 points outside of their leading scorer, Kevin Durant, and have a total of four players averaging double figures. 130 – The Warriors have been dominant in third quarters during the playoffs, outscoring their opponents by 130 points which is the largest differential in any single quarter during the shot-clock era, according to ESPN Stats & Information. The next closest team is the 1985 Lakers, who had a differential of plus-105 in second quarters. 612 – No one in playoff history has scored more points heading into the Finals than LeBron’s 612. James, who has accumulated that mark in 18 games, is ahead of Hakeem Olajuwon, who had 594 points in 18 games in 1995. The @cavs and @warriors will meet in the NBA Finals for the 4th straight season. 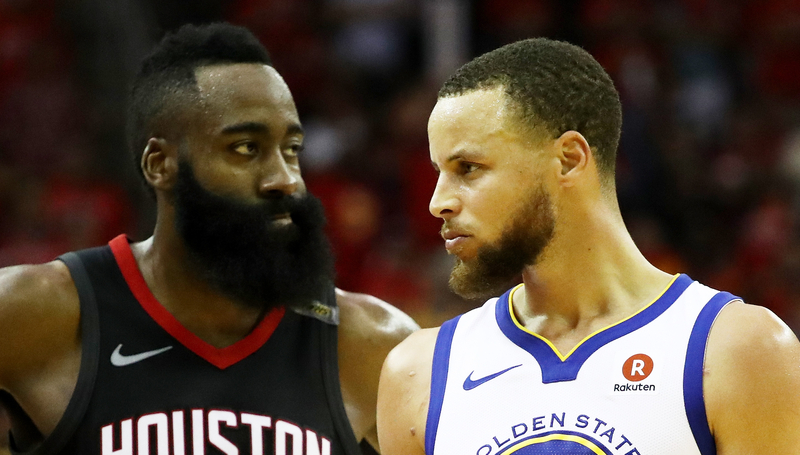 James Harden (l) and the Rockets pushed Stephen Curry (r) and the Warriors to seven games. I know, I know. I hear you. We went through an entire NBA season – all of its intricacies and storylines – just to end up in the same place we’ve been in the past three summers… with the Golden State Warriors once again meeting the Cleveland Cavaliers in the NBA Finals. It’s Part IV of a seemingly never-ending saga which, at this rate, could surpass the total number of Star Wars movies. And no one sounds all that excited. Even fans residing in Oakland would have probably preferred to see another opponent in the final series of the season, while that definitely holds true for those in Cleveland, although mostly for different reasons. Yet here we are. With LeBron James set to bring his one-man show up against the greatest collection of talent in NBA history. We’ll be lucky to get six games out of this, with another gentleman’s sweep by the Warriors appearing to be the most likely scenario. Then what was the point of everything that preceded the Finals, you’re probably asking. It was all inevitable, right? Actually, no. Even though we’re here again, it could have just as easily been different. And how close it was to being different should put an end to the apathetic outlook and narrative that this was all predictable from the start. The Cavaliers and yes, even the Warriors, needed breaks to get to this point. Both teams were down 3-2 in the conference finals and had to win a Game 7 on the road – one of the toughest challenges in the sport. The sides who represented their final hurdles were both banged up with injuries – the Boston Celtics were without two All-Stars in Gordon Hayward and Kyrie Irving, while the Houston Rockets didn’t have one of the greatest point guards of all-time in Chris Paul for the final two games. Even with those circumstances already working in their favour, Cleveland and Golden State still needed their opponents to have horrendous shooting nights in Game 7 to advance. The margin between winning and losing can often be minuscule and in the case of the conference finals, it was razor thin. 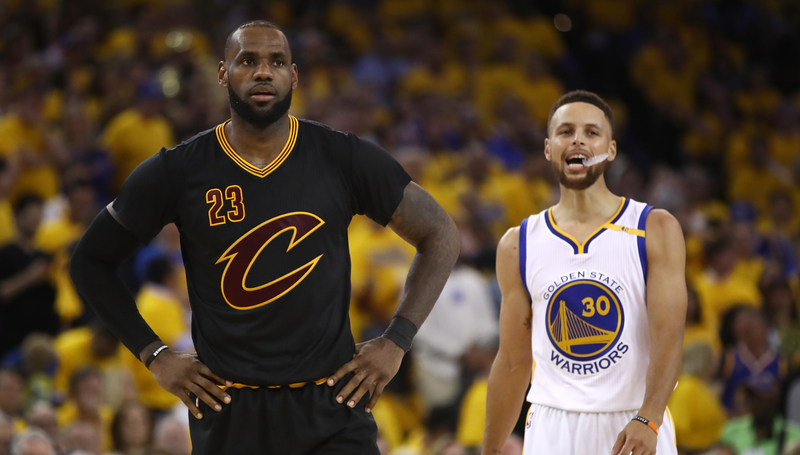 As much as LeBron and the Warriors’ return to the Finals solidifies their respective greatness, it also proved they’re not infallible. Really, this is a referendum on Golden State’s invincibility. That’s the only endgame we’ve been talking about since Kevin Durant decided to hop aboard an already-runaway train in the summer of 2016. Until it’s proven the Warriors can be stopped, we thought, all of this is pointless. Well, the Rockets didn’t just get closer than anyone else against Golden State – they got as close as you can pretty much get, outside of a dramatic final minute in Game 7. And it wasn’t by fluke either. Houston were specifically built to beat the Warriors by relying on two elite shot-creators, switchable defence and high-variance 3-point shooting (which cruelly backfired in Game 7). 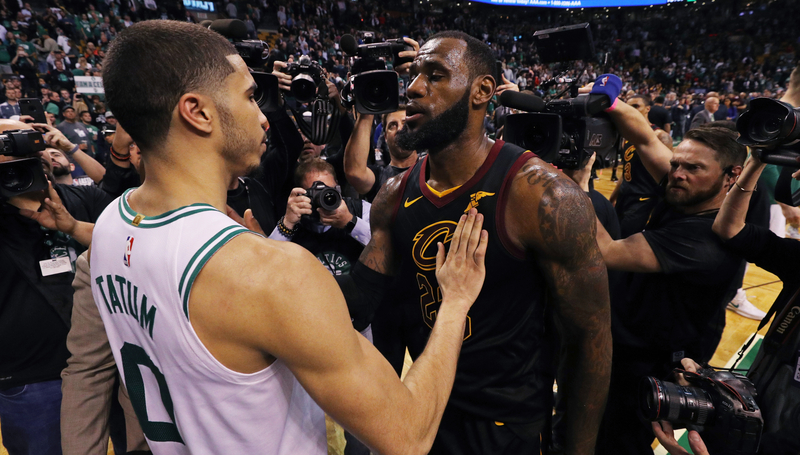 The Celtics’ precocious roster, meanwhile, came within minutes of knocking out LeBron before the Finals for the first time since 2010. And again, they got that far without two of their best players, while leaning on a 20-year-old rookie in Jayson Tatum who is on a path to super-stardom. Houston and Boston don’t appear to be going anywhere. If anything, they should be stronger next season and peskier challenges to Golden State and Cleveland. Even without significant roster change and, say, LeBron joining Paul and James Harden, there’s a decent chance we could get the Rockets-Celtics Finals we barely missed out on this time around. And that’s not even mentioning the continued growth of young teams like Philadelphia and Utah, or a potential forming of another superteam. So swallow that pill and endure one more rematch between these same old teams in the Finals, because it may be the last time the end result is this predictable again.